No, this is nothing to do with the charitable Rotary organization, but everything to do with the Mazda rotary engine which won at Le Mans 25 years ago. This is still the only time a Japanese team and a rotary engine has won at the Le Mans 24 hours, though Toyota went very close this year, leading until the final lap, but motor sport can be very cruel. Le Mans Mazda 787 B. The rotary engine in the 787 B was designated as a R26B, a four-rotor affair that produced an estimated 700 peak horsepower at 9,000 RPM while remaining naturally aspirated, while generating incredible noise! 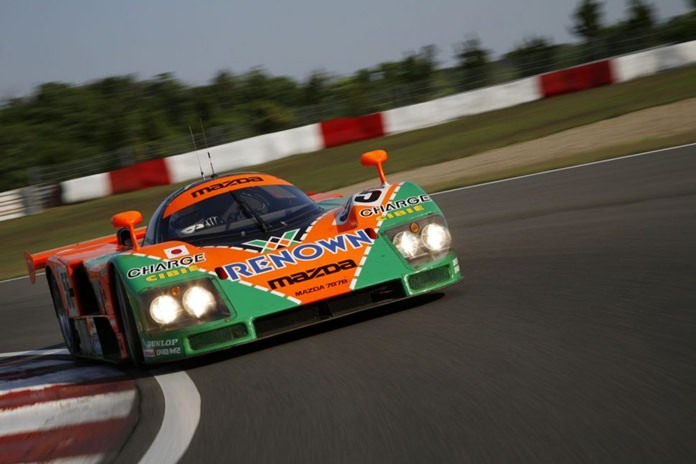 The race saw the Rotary Mazda compete against the factory Peugeot team, the Sauber-Mercedes C11 and the TWR Jaguars. It was not the fastest car, but in endurance racing it is necessary to have reliability, and Mazda were able to see off all the other fancied runners, while the R26B just kept on delivering the speed to carry it to the front of the 1991 Le Mans.